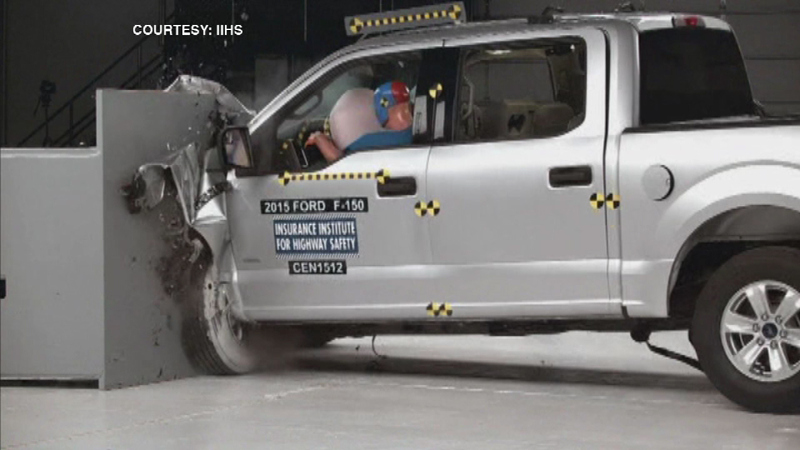 CHICAGO (WLS) -- New crash tests unveil a potential risk in a popular pickup truck. It involves one of the new Ford F-150's made with aluminum sides. The four-door super crew version received a top rating in tests by the Insurance Institute for Highway Safety, but the smaller "super cab" version did poorly in one front crash test. The safety agency says it's due to a design difference in the steel frame beneath the truck's aluminum body. Ford says it will improve the design for the 2016 model.